“Gifted” (2017). 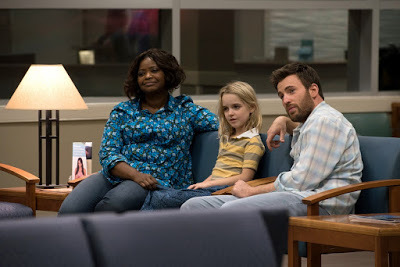 Cast: Chris Evans, McKenna Grace, Lindsay Duncan, Jenny Slate, Octavia Spencer, John M. Jackson, Glenn Plummer, John Finn, Elizabeth Marvel, Jon Sklaroff, Michael Randall Kaplan, Keir O’Donnell, Joe Chrest, Kelly Collins Lintz. Director: Marc Webb. 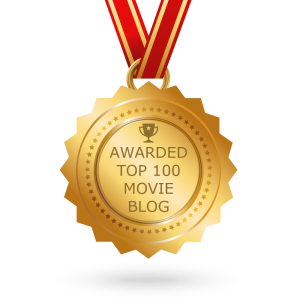 Screenplay: Tom Flynn. Web site. Trailer. 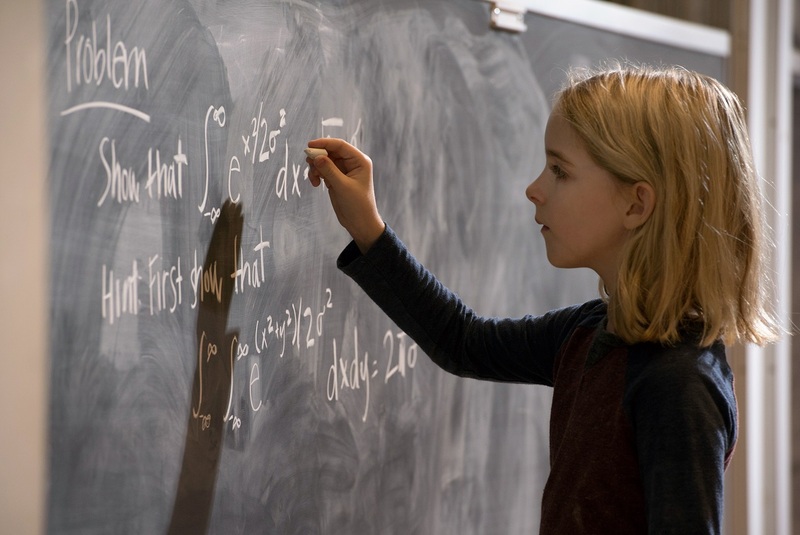 Seven-year-old Mary Adler (McKenna Grace) is a whiz at math. In fact, she’s a prodigy capable of solving complex calculations far beyond her years. But she’s also a kid, and a somewhat isolated one at that. Having been orphaned at 18 months when her mother, Diane – also an arithmetic genius – committed suicide, Mary has been under the loving but unofficial care of her uncle, Frank (Chris Evans), a former professor who left academia behind and now repairs boats for a living. Frank recognizes his niece’s capabilities and doesn’t hesitate to encourage them. But he also wants Mary to be able to experience the joys of childhood, something his brilliant but lonely sister missed out on during her upbringing. And so, after years of home tutoring and little contact with peers her own age, Frank decides it’s now time to enroll Mary in the local grade school, a decision she rails against. Seven-year-old Mary Adler (McKenna Grace) is a math prodigy, but she’s also a kid struggling to be allowed to be one, as seen in the engaging new family saga, “Gifted.” Photo by Wilson Webb, courtesy © Twentieth Century Fox Film Corporation. Mary quickly grows bored by the lack of challenge in her studies. She frequently acts out, much to the consternation of her teacher, Bonnie Stevenson (Jenny Slate). But Bonnie soon recognizes Mary’s abilities, and, with the backing of the school’s principal, Gloria Davis (Elizabeth Marvel), she encourages Frank to place his niece in a special educational facility for gifted children, a decision he rails against. He believes that enrolling Mary in such a school would isolate her even more, keeping her from making “normal” friends and developing necessary social skills, capabilities his sister never mastered when she attended a similar institution. However, before long, Frank’s decision gets challenged – and from what might seem an unlikely source. Upon arrival home from school one day, Frank and Mary are met at their doorstep by Evelyn (Lindsay Duncan), Frank’s mother and Mary’s grandmother, someone the youngster has no recollection of ever meeting. Having once been an overbearing stage mother of sorts toward her late daughter, Evelyn aggressively tried to mold Diane’s intellectual prowess, forever keeping her focused on her studies to the detriment of her social development. And now that she sees the same talents emerging in her granddaughter, she wants a second bite at the apple at creating a mathematical wunderkind. Frank, who has himself been estranged from Evelyn for years, is angered by her plan and vows to raise Mary the way he believes his sister would have wanted her to be brought up. But Evelyn sees her son’s decision as one that would hold back Mary’s potential, and she decides to challenge Frank in court. Since Frank has no official standing as Mary’s legally designated guardian, Evelyn believes she has a strong case to sue her son for custody, a claim made possible by her considerable wealth and fought by her high-priced lawyer, Aubrey Highsmith (John Finn). However, Frank refuses to back down, and so, with the assistance of his impassioned attorney, Greg Cullen (Glenn Plummer), and the moral support of Bonnie and his feisty neighbor, Roberta (Octavia Spencer), Mary’s best friend, he matches wits with his mother in hopes of giving Mary what she needs to grow up fulfilled and, above all, happy. Mary Adler (McKenna Grace, center) relishes the support and comfort she receives to be herself provided by her uncle, Frank (Chris Evans, right), and best friend, Roberta (Octavia Spencer, left), in director Marc Webb’s latest offering, “Gifted.” Photo by Wilson Webb, courtesy © Twentieth Century Fox Film Corporation. As life experiences go, Mary’s is quite unusual. On the one hand, she’s a prodigy, which distinguishes her from many of her peers, one of those children many adults go out of their way to accommodate in helping them fulfill their potential. But, on the other hand, she’s still a kid, someone who’s developing the essential interpersonal and social skills she’ll carry with her into adulthood. And, by all rights, she should also be able to experience the joys of growing up, something wunderkinder are often denied at the expense of their academic development. It’s quite a conundrum, to be sure. So what is Mary to do? Should she forsake the foolish ways of childhood to fulfill her intellectual destiny? Or should she apply the academic brakes and allow herself to experience the joys of a normal way of life? That’s the choice and challenge posed here, and, based on the escalating circumstances involved, a solution is needed, one that satisfies both Mary and those who care about her. And that’s where the conscious creation process – the means by which we manifest the reality we experience through the power of our thoughts, beliefs and intents – can prove particularly useful. By creating an existence as a youthful genius, Mary has pushed the envelope of her materialization skills. She’s succeeded at manifesting an intellectual capacity that exceeds many typically accepted limitations, especially for someone her age. And, to live up to her potential in this area, she’s attracted influences and individuals into her life to help her with this, such as her teacher, her principal and, most notably, her grandmother. But, despite her scholarly achievements, the question remains, will she be able to successfully ingratiate herself into a society from which she’s already set herself apart from others in so many significant ways? If she hopes to fit in, she also needs to attract individuals and influences that will help her attain that goal. Fortunately, that’s where Frank, Roberta and Bonnie come into play. Seven-year-old math whiz Mary Adler (McKenna Grace, right) wrestles with the controlling influence of her overbearing grandmother, Evelyn (Lindsay Duncan, left), in “Gifted.” Photo by Wilson Webb, courtesy © Twentieth Century Fox Film Corporation. However, with so many people claiming they have Mary’s best interests at heart, they’ve effectively begun competing with one another over her, something that’s far from suiting her well-being. And that’s where Mary’s conscious creation skills will prove particularly crucial in helping her establish what she needs most in her life – balance. Striking the right balance in a child’s intellectual and social development can be tricky, even under the best of circumstances. And, when conditions like those Mary faces get thrown into the mix, the situation can become incredibly complicated and exceedingly trying. The possibility of long-term damage in such scenarios is very real, with potentially devastating consequences lurking in the shadows. With opponents each claiming that they know what’s in the child’s best interests, the allegedly well-intentioned combatants could easily end up doing more harm than good. Is that what it means to be a dutiful guardian? That’s something all parties concerned need to step back and consider before proceeding with their plans to “fix” things, as Mary’s situation clearly illustrates. To strike that balance, Mary and her aspiring caretakers need to employ a valuable conscious creation skill – discernment. This involves all concerned sorting through their respective beliefs to see that Mary’s best interests are truly met. This may not be as easy as hoped for, though, especially when desired outcomes (and the beliefs supporting them) conflict. This potential dilemma thus places the spotlight on another conscious creation principle – the concept of co-creation. This occurs when we pool our manifestation efforts to achieve a particular result. In this case, the objective is seeing to Mary’s well-being, and each participant in this scenario has a contribution to make, even those that may be at odds with one another. In some ways, such clashes may seem counterproductive. But, in many cases, they play an integral role in working out belief contradictions that account for inherent glitches in our manifestation efforts, a resolution process that’s essential to arriving at a mutually satisfying conclusion. The key in this, of course, is cooperation, never losing sight of the intended outcome. This may mean some of us need to let go of certain hoped-for manifestations that don’t mesh with the sought-after result. For instance, if we desperately cling to realizing a particular materialization that clearly doesn’t jibe with the rest of the scenario, it might need to jettisoned. But can someone who’s zealously clutching the element up for elimination realistically do so? Obviously such stubbornness can disrupt – perhaps even stall – the co-creation process, leading to a stalemate and possibly delaying or preventing the creation of the outcome. To counteract impasses like this, the entrenched parties should consider heeding a piece of advice that often serves the conscious creation process well – don’t push the Universe. When we hold onto an expectation for dear life, despite compelling evidence showing us we should clearly abandon it, we may unwittingly end up trying to force our divine collaborative partner down a path we’re not supposed to pursue. It could lead to a distorted result. It could prevent us from experiencing a fortuitous synchronicity designed to make the ideal outcome occur. Or it might even lead to all kinds of unwanted frustration. 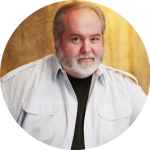 Under such circumstances, it would behoove us to take a realistic look at what’s materialized and assess the underlying beliefs that brought it into being. And, after a careful, thorough analysis, we may very well find that we need to regroup, plan a new strategy and rewrite our manifesting beliefs accordingly.  That might not be easy, but, in the interests of a desired outcome – one that suits the needs of everyone involved in the co-creation – that could be just what’s needed to make things work. Such situations often provide us with valuable learning opportunities, life lessons that serve our personal growth and development as proficient conscious creators. For instance, considering how Diane’s life turned out, Evelyn should probably ask herself if she really wants to pursue the same course of action where Mary is concerned. Is that path truly in her granddaughter’s best interests? If not, would it be wise for her to push the Universe in a comparable direction once again? Those who would adhere to such ill-conceived tactics, despite evidence to the contrary, need to realize from a conscious creation standpoint that the Universe always leans in our direction, even if it doesn’t always seem that way. This is where the value of faith comes into play. If we sincerely believe in conscious creation’s validity and recognize that the beliefs we employ for manifestation purposes will ultimately take us where we’re destined to go, we should place our trust in the philosophy and its principles. Should we do that, we’re far less likely to be disappointed than by forcing an issue that shouldn’t be forced. Grade school teacher Bonnie Stevenson (Jenny Slate) seeks the best for a child prodigy in her class in director Marc Webb’s “Gifted.” Photo by Wilson Webb, courtesy © Twentieth Century Fox Film Corporation. When we succeed at what we’re trying to achieve, we often stand to reap results that benefit both us and others, a concept conscious creators refer to as value fulfillment. In many respects, this shows us that the process is operating optimally and that we’re spot on when it comes to our manifesting beliefs. This becomes apparent with all of the characters in this story as they work toward a solution that’s in Mary’s best interests, one that not only benefits her personal growth, but also her development as a prodigy capable of bringing forth mathematical discoveries that contribute to the emergence of her academic prowess and to the well-being of society at large. That’s truly the best of all worlds and something that all concerned should be able to agree on as being in everyone’s best interests. Despite some moments of predictability and a handful of underdeveloped elements, director Marc Webb’s delightful, crowd-pleasing family saga otherwise delivers the goods, especially when it comes to hearty laughs and deservedly earned heartfelt reactions. The generally crisp, insightful script, coupled with terrific performances across the board by a great cast (particularly Grace and Duncan), make for a winning combination that readily satisfies, one that draws its inspiration from such offerings as “Kramer vs. Kramer” (1979) and “Little Man Tate” (1991). In short, “Gifted” is easily one of the best releases to come out in an otherwise-disappointing 2017 movie season thus far. When considering a youngster’s welfare, those seeking to achieve that end truly need to look at the child first and their own aspirations second. Undue harm can be inflicted – unwittingly or otherwise – if the child’s well-bring gets short shrift at the expense of adult egos and contentious claims. The gifted truly need to be allowed to let their talents flourish, but they also need to be allowed to be kids, and, if we want them to grow up right, we’d better not lose sight of that.